Trotec Laser Online Magazine: Happy Thanksgiving! 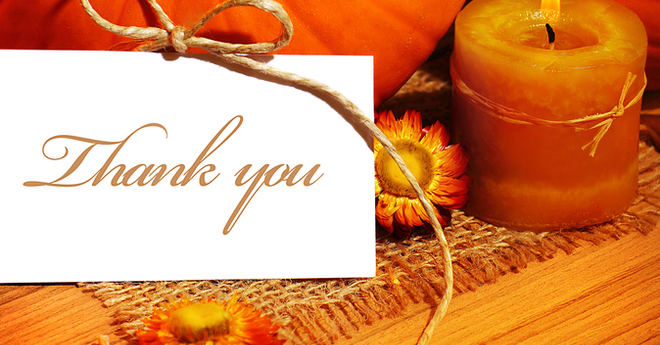 We are excited when Thanksgiving arrives, for it is the perfect time of year to reflect on everything we're thankful for. Here at Trotec we are thankful for many things, but most importantly we would like to take this time to thank our customers! We would like to thank our customers for being loyal and believing in our products and services, for you have allowed our organization to thrive in today’s market. The past year has really been excellent, and we owe it to each and every one of you! We look forward to doing business with everyone in the years to come. We hope you’ll have a fruitful Thanksgiving celebration this year.